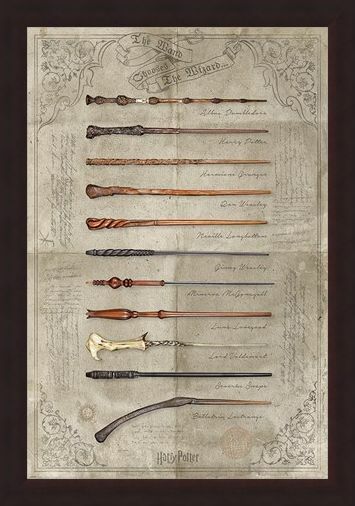 From the claw-like and menacing weapon belonging to the dark lord to Hermione's humble and modest design, this superb catalogue of Ollivander's finest creations is a must have for any true Harry Potter fan. 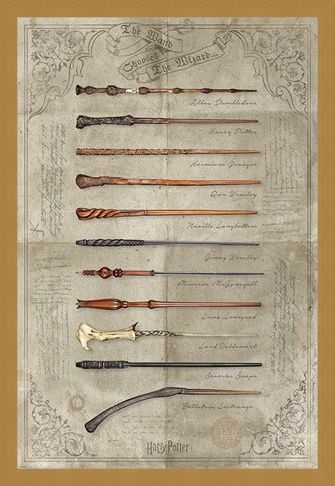 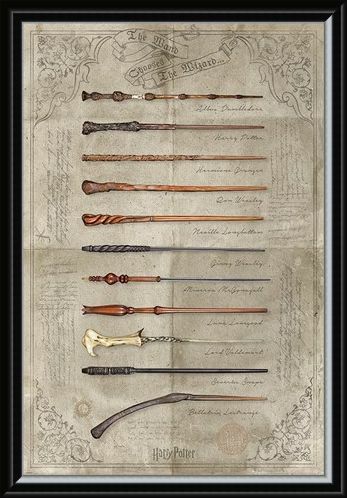 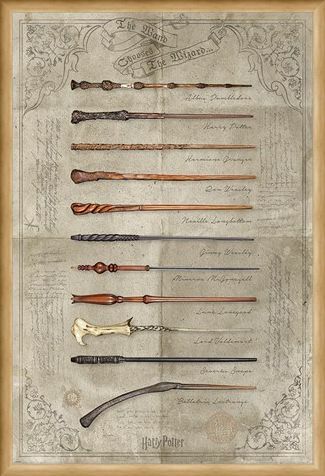 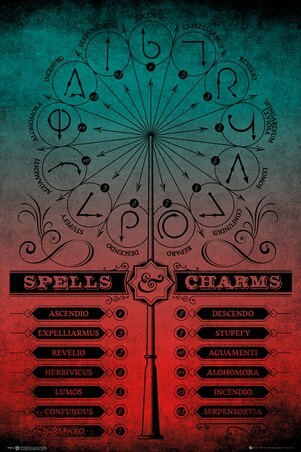 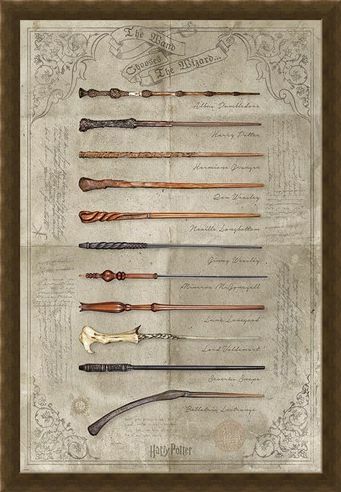 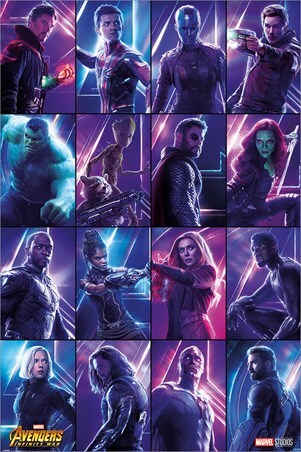 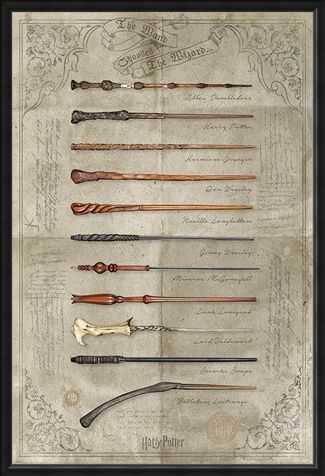 Pictured atop an aged, paper background, learn the look of each witch and wizard's handcrafted wand, with this magnificent poster! 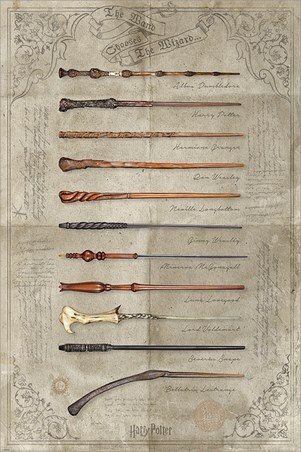 'The Wand Chooses The Wizard'! High quality, framed The Wand Chooses The Wizard, Harry Potter poster with a bespoke frame by our custom framing service.